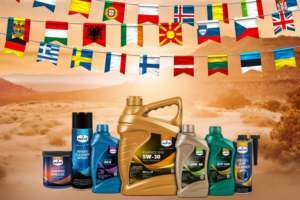 Eurol Petrol Octane Improver | Eurol B.V.
Eurol Petrol Octane Improver is specially formulated to increase the research octane number (RON) of petrol. At the recommended dosage, the octane improver will raise the RON by 4 to 6 points. The engine will respond quicker to changes in throttle position and will feel more lively and, at constant speeds, the fuel economy will slightly increase. It prevents and eliminates pinging when the engine is operating in the high end of the RPM range and fuels’ high speed knocking resistance is improved.